The definition of the research design explains the functions of a research design. A research design is a logical procedural plan that the researcher takes on to get answers to the research questions. The aim in the selection and building a research design is to ensure the validity, reliability, and accuracy of the research will stay intact. It includes how data is to be collected, what will be the sample size, how sampling will be done and how data is to be analyzed. The details regarding sampling, data collection, and data analysis are mentioned in detail in the research design so as to be very clear about each step of the research study. To ensure validity, reliability, and authenticity in each step of the research. The operational plan of the research is an overall, detailed answer to the steps that are taken in the research in order to get answers to the research question. This plan helps the researcher and the readers get to know about the sampling process, data collection, data analysis, and interpretation. It is necessary that you have a practical, workable procedural plan that also ensures research validity and authenticity. The researcher, his/her research supervisor, and in some cases a statistician can be asked for help to develop a research design. The research design constitutes the following. Sampling size and sampling technique both need to be mentioned in the operational plan of the research design. Most of the research have a materials and methods chapter and the researcher precisely explains about the sampling procedure in that chapter. Data can be primary or secondary and some research needs a combination of both of them. The researcher should explicitly describe the type of data to be collected as the person who is appointed to collect data will need this information. Multiple techniques can be used in one research, on the other hand, the researcher decides to use a single technique. It depends on the research problem and the objectives that what technique the researcher decides to use. The researcher at this point already knows that the data is quantitative or qualitative. Quantitative data needs a different approach for analysis while qualitative data needs completely different approach. The researcher needs to explain what variables need to be analyzed, whether a comparison between variables is to be studied or not. The researcher should decide at this stage what codes need to be assigned and how to quantify and analyze raw data through the process of coding. 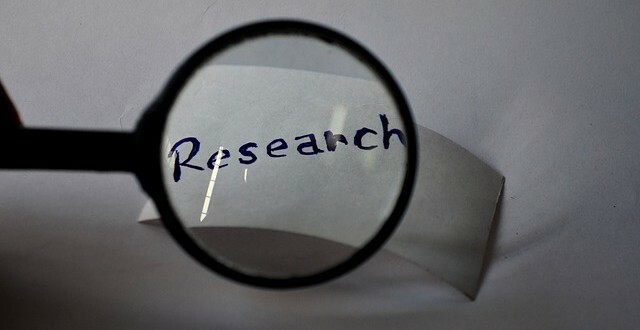 The other important function of the research design is to maintain validity, reliability, accuracy and authenticity of the research by using effective research tools. The researcher devises a research plan that he thinks is workable now he should discuss it thoroughly with his/her research supervisor or any expert in the field. An expert statistician or research supervisor can think about the loopholes in the research design and suggests new ideas. Reliability is an important factor in any research study in order for a study to be valid it should first be reliable. The reliability of the research design can be maintained by asking questions like; does the sample size enough to represent the population under study? will the data to be collected will be adequate to test the hypothesis of the research? does the sequencing of the questions in the questionnaire suitable for the population under study or is there better options? Validity means that the research design you have devised should measure what needs to be measured in your research. The construct should measure the variables that need to be measured. Objectivity is easy to achieve in a quantitative research where every step is quantifiable. In qualitative research, objectivity is simple to state but difficult to achieve. The researcher needs to keep his personality, values and likes away from the research study. Kirshenblatt-Gimblett, Barbara. Part 1, What Is Research Design? The Context of Design. Performance Studies Methods Course syllabus. New York University, Spring 2006; Trochim, William M.K. Research Methods Knowledge Base. 2006.